On our last trip to Japan, we picked up a slew of crazy Japanese KitKat bars in all kinds of different flavors. Some of them—we’re not even sure what they are! So, what better excuse to have a Japanese KitKat tasting party? We’ll also have info on hand about some of the exciting Japan itineraries from our favorite preferred travel providers. Join us, but remember to RSVP! We’re already getting a sense that this event might be crazy popular. If you’re thinking about an Alaska cruise, and you want to avoid the crowds, how about a late spring departure? Our seven day itinerary on the exquisite Royal Princess departs from Anchorage and heads south through the Inside Passage, with scenic cruising at the Hubbard Glacier and in Glacier Bay National Park, as well as stops in Skagway, Juneau and Ketchikan. This is the Alaska that you’ll only be able to experience from the sea, so why not do it onboard a luxurious Princess Cruise—consistently rated as the best cruise line going to Alaska! We have preferred pricing and exclusive amenities on this sailing, so call us for more info! Hey, Huckleberry Travelers! Come with us to Alaska! This summer, we'll be cruising out of Seattle on Holland America Line. The MS Oosterdam will visit Victoria, British Columbia, Ketchikan, Sitka and Juneau, along with scenic cruising along the Inside Passage and beside the Hubbard Glacier! It's the trip of a lifetime, and we think you should join us! Call us for our special pricing and added amenities! We're going to have a blast! With our preferred travel provider, G Adventures, we’re escorting a special private small-group National Geographic Journeys itinerary to Morocco. With no more than 12 spaces available, the group is intended for LGBTQ travelers, and allies. From atop towering Moroccan dunes, peer across the sands to watch the sun rise over another North African day. Experience such highlights during a nine-day adventure to the country’s top spots. Discover the fresh cedar forests of the Atlas Mountains, meander the winding lanes of old Marrakech, and ride into the desert on a 4x4. 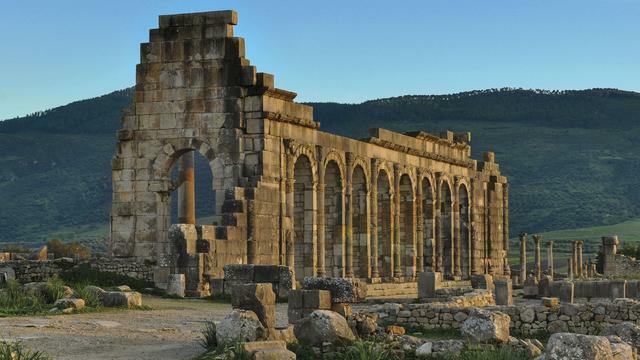 Meet musicians, Berbers, and artisans, and soak up the exotic beauty of Morocco. Space is extremely limited on this small-group adventure, and the group is nearly sold out. If you’re interested in joining us, or if you’d like us to find a similar departure of this small-group Morocco adventure, please let us know! Join us as we sail on Celebrity Edge—the best new ship of the year—on a Caribbean Island-Hopping Adventure. We’ll visit Puerto Rico, the British Virgin Islands, and St. Maarten. Explore Old San Juan, go snorkeling in Tortola, or sail aboard an authentic Americas Cup racing yacht as we explore the Eastern Caribbean. And, for your at-sea days, you can experience the outward-facing design of the most innovative and forward-thinking ship at sea. If you’re looking for an opportunity to be ahead of the curve in experiencing the cutting edge of Caribbean cruising, now’s your chance. Celebrity is one of our preferred premium cruise lines, so we can offer you preferred pricing and added exclusive amenities on this sailing! If you're a seasoned traveler with a taste for destinations untrammeled by modern tourism, have we got a trip for you. Our 16 day journey to Greenland, via the Canadian maritime provinces, will give a few lucky Huckleberry Travelers the opportunity to experience one of the most stunning and least-visited destinations in the world. We’ll be traveling on our preferred premium cruise partner, Princess Cruises, with preferred pricing and exclusive amenities that are only available through us. If you’d like more information about traveling to Greenland with us, just let us know! Plus, we'll be experiencing the authentic, warm hospitality of the Portuguese people, and the incredible food of the country. You haven't lived until you've eaten in Portugal for a week! Portugal is one of our favorite countries in Europe. You'll definitely want to be there with us! Our week in Portugal starts at 1329, per person, double occupancy, and pre- and post-trip extensions are available, as well. Want to travel with some really fun people? Just drop us a line! Huckleberry Travel is having a birthday. Come help us celebrate! We’ll have drinks, door prizes and FUN! Join Huckleberry Travel on a fabulous week cruising the Arabian Gulf and the United Arab Emirates. Our one week itinerary aboard the MSC Splendida visits Dubai, Abu Dhabi, Sir Bani Yas Island Doha and Bahrain. We'll see the glittering cities of the Emirates, the stunning architectures of iconic mosques, and explore fabulous nature preserves and desert landscapes. All the while, we'll be aboard the MSC Splendida, a gorgeous ship from the best cruise line that you may not ever have heard of before! It's a chance to take a premium cruise at a value price, unpack only once, and see more of the region than you'd ever expect. Dubai. Ultramodern architecture, luxury shopping and glittering nightlife. Our voyage sails from Dubai, so why not build in a day or two to explore this fabulous city and the surrounding desert? Abu Dhabi. Go on a desert dune adventure, have a blast at Ferrari World theme park, visit a garden oasis in the desert, or see Sheikh Zayed Mosque, a masterpiece of neo-Islamic architecture and one of the largest mosques in the world. Sir Bani Yas Island. Kayak through mangrove forests, go on a safari in a remarkable nature preserve, or just hang on on a fabulous beach. Bahrain. Explore the rich cultural history of Bahrain at the National Museum, visit the UNESCO World Heritage Site to explore Bahrain's pearl-trading legacy, and visit historic Muharraq city, with its narrow lanes with beautiful restored houses. Doha. Explore Qatar with a desert safari, or explore the coastline on a dhow cruise, explore the bustling markets or just relax at the beach! And, when you're not on a fabulous shore excursion, there's plenty to do on board the ship. Just take a look! Want more information about this fabulous trip? Just drop us a line! Ten days. Six ports-of-call. Unlimited adventure. Huckleberry Travel has great rates and exclusive amenities on this Eastern Caribbean sailing on Princess Cruise Lines. You'll visit Antigua, St. Lucia, St. Kitts, Barbados and St. Thomas, plus a stop at Princess Cays in the Bahamas! If you'd like information about our exclusive pricing and amenities, just drop us a line! We're taking a cruise to Cuba! And we think you should come with us. This is not a tourist trap. This is authenticity everywhere you look — exploring the culture, cuisine and nightlife of Havana, Cuba on Royal Caribbean's® Majesty of the Seas®. Cruise the historic Malecón in a classic car and grab a drink at Hemingway’s favorite bar, El Floridita. Check out the art scene at Fusterlandia. Or head to the legendary Cabaret Tropicana night club for some salsa dancing. And you can do it all in just a few short days on this long weekend getaway that includes a stop at CocoCay® in the Bahamas! Availability is VERY limited, so let us know, soon, if you'd like to join the adventure! As soon as we returned from our last trip to Alaska, we were already thinking about making a return visit. It was so spectacular, and we had so much fun, that we're going back again next summer. And we'd love to talk to you about coming with us! That's why we're hosting a fabulous Alaska-themed dinner at Werkstatt in Brooklyn. Join us on a culinary journey to the Great Land! Huckleberry Travel has partnered with the popular (and delicious) Brooklyn restaurant, Werkstatt, for a special menu that celebrates the Last Frontier! Our special three-course meal will feature incredible dishes created by Chef Thomas Ferlesch, created from ingredients that you'd find on one of our authentic and immersive Alaska cruise itineraries. And we'll be on hand to talk to you about the group we're leading through the inside passage next summer! And, in case you want just a taste of what that's all about--we're inviting travelers from this past summer's Alaska journey with Huckleberry Travel. You can hear all about the calving glaciers, incredible wildlife, Gold Rush history and native cultures we experienced for ourselves. This is a chance to enjoy a bit of the real Alaska, without leaving Brooklyn! Tickets are $50 per person, and space is extremely limited. So, if you'd like to have a delicious meal with a fun group of people who are excited about Alaska, reserve your spot today! Each summer, the Tour de France races across the country, giving a select group of very talented cyclists a chance to see the country from a blurry perspective. But on our cycling tour of the Loire Valley, knowing the difference between a front derailleur and a rear dropout isn't necessary. Hop on a bike and experience ornate châteaux, rustic markets, vineyards, and rural Gallic charm. Think of this as the perfect combination of slow food, fine wines, and remote country tracks – ideal for seeing the inspiring scenery. You know you want to do this, right? Of course you do! Riding from château to winery, to small quaint village, to vineyard. Stopping for a picnic, or at a local market. It'll be great! We're not camping--we stay in hotels. You don't need to bring your own bike from home (unless you really, really want to deal with that). Your luggage will be taken care of--it'll meet you at the next stop. Huckleberry Travel is hosting this trip in late August, 2018--the week before Labor Day in the US, in case you want us to build in a couple of extra days in Paris. It's operated by our preferred travel partner G Adventures--a company that specializes in authentic, responsible travel. We know this is a bucket-list trip for a lot of people we're talking to, and space is extremely limited--no more than 12 people can do this with us. So check out our awesome flier for details or get in touch with us, today, if you want more information. Or, if those dates don't work for you, if you've got your own small group looking for a private trip like this, or you were hoping for something similar, only in, oh-let's-say, Spain? We can help with that too! Just let us know! Hey, friends and neighbors! We're hosting another Departure Lounge event at Hinterlands Bar in Brooklyn, New York! Stop by to talk about your recent travels or your future travel plans. We'd love to hear your stories and see your pictures, and we'll be buying a round of drinks! There's nothing like thousands of riders getting on their bikes to change the world. This August, cyclists from around the country will arrive in Central Ohio to bike across the rolling countryside with one goal--to end cancer. And Huckleberry Travel will be there! It'll be a great opportunity to train for our Loire Valley Cycling Trip, just a few weeks later, in fact! Pelotonia is a grassroots bike tour with one goal: end cancer. Pelotonia continues to be one of the largest cycling events in the country. Last year, Pelotonia raised more than $26 million. It was a one-year record and brought the nine-year Pelotonia total to an amazing $156.4 million. And every dollar funds state-of-the-art, life-saving cancer research at The Ohio State University Comprehensive Cancer Center – James Cancer Hospital and Solove Research Institute (OSUCCC – James). 100% of every dollar raised goes directly to cancer research. We all know someone who has been affected by cancer. By supporting Pelotonia, you can help improve lives through innovative research with the ultimate goal of ending cancer. This is truly a unique opportunity to be a part of something special. It's time again for our second annual Huckleberry Travel Cuban Pig Roast! But this time, it comes with the all the fun of a classic Brooklyn Block Party! Again, this year, we'll be raising funds for Pelotonia--our bike ride across Ohio to raise money to end cancer. A $25 donation gets you a plate of food! Oh, and BYOB (we'll have a cooler with ice). 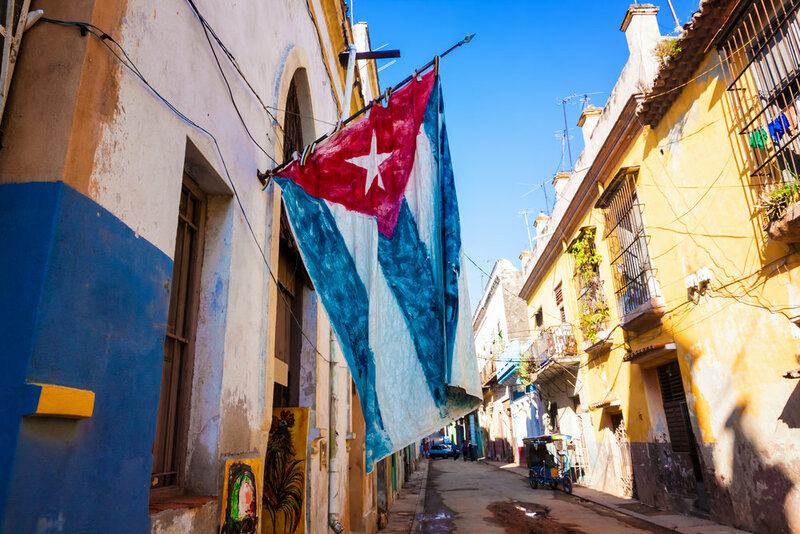 We'll aim to have food ready at around 5 p.m., but if you'd like to come early, hang out with us and our neighbors, talk about travel and learn about some of our incredible Cuba itineraries--well, we're a very friendly block. You'll love us. 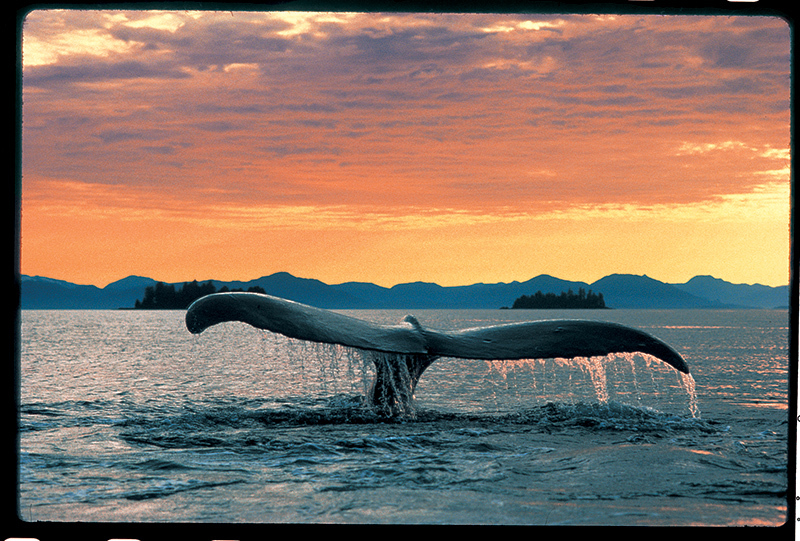 Join Huckleberry Travel on a fabulous Alaska Cruise! This 7 day "Voyage of the Glaciers" itinerary on the Coral Princess includes scenic cruising in Glacier Bay, as well as stops in Ketchikan, Skagway and Juneau! Want to go sea kayaking? Enjoy a delicious crab feast? Meet sled dog puppies? This cruise will immerse you in the real Alaska. And, there's the option of adding on a land tour to visit the interior of the "Last Frontier." Best of all, you're traveling with Huckleberry Travel, so you know you'll be taken care of! Reach out to us, today to get on board with this plan! Hey, everyone! If you're anywhere near Brooklyn, NY and want to come hang out with us at our semi-regular meet-up, we'd love to meet you. Tell us about your last trip, or let us know what's in store for your next incredible adventure. And, of course, if you join our mailing list, we'll buy you a drink. Or, if you're already a Huckleberry Traveler, we'll buy you a drink. Heck, just show up and say 'hello,' and we'll buy you a drink. 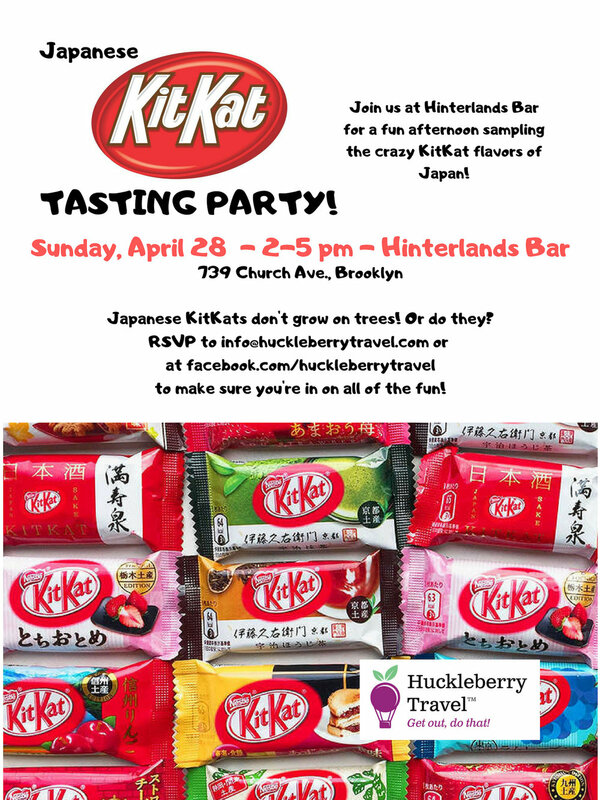 Saturday, April 21 from 3-6 p.m. at Hinterlands Bar on Church Ave., in Brooklyn! Just because you're not in school any longer, doesn't mean that you don't deserve to have Spring Break. Think about this...you've survived winter. Or at least you think you have. It's March, you're full of hope, and then suddenly... BAM! It's another snowstorm. Fortunately, you thought ahead. You called Huckleberry Travel and booked their "Grownups Spring Break" cruise! Take a week off from "adulting" and let others do the work of your daily grind. On this six-night itinerary to Grand Cayman and Mexico, you can swim, spa, snorkel and explore, while someone else does the cooking for every single meal and makes your bed every single day. Our trip leaves on March 11 from Ft. Lauderdale on Royal Caribbean's Freedom of the Seas, and returns on March 17. Royal Caribbean has been consistently rated as the top cruise line for Caribbean itineraries, and this particular sailing has special Huckleberry Travel pricing, as well as enhanced amenities. On this six-night itinerary, you'll leave Ft. Lauderdale, stop in Grand Cayman, as well as Costa Maya and Cozumel, both in Mexico. Couple that with a couple of days at sea for spa days, reading by the pool and day-drinking, and you'll get a much-needed dose of warm weather in early March. Space is extremely limited (we don't do this for just anyone, you know...this is because you're special), so jump on board while you still can! We're packing in the amenities for clients of Huckleberry Travel, so let us know if you're into it! We did our formal launch a year ago, and what a year it's been! So far, we've sent (or are sending) travelers to nearly every continent (anyone wanna go to Antarctica? ), and have planned everything from weekends in Vegas, to safaris in Botswana. We've sent folks to Italy, Iceland, and India. We've planned honeymoons to the Azores and destination weddings in Mexico. We've organized "behind the scenes" tours at Versailles, camel rides into the desert in Morocco and itineraries of wide open spaces in the American West. But through all of that, we've never lost focus of what made us start this business. We know that travel has the power to transform and that by helping people explore the world we live in, we're part of positive change in the lives of our clients, and in the world, as a whole. We're grateful for your support, and we're excited to celebrate our first year in business with you. Please join us at Hinterlands Bar in Brooklyn on March 10, 2018. We'll have drinks and fun and lots of stories about exciting travels. Stop by and join the celebration! Want to talk about your next (or last) awesome trip? Want to hear about the latest travel deals? Want us to buy you a drink? 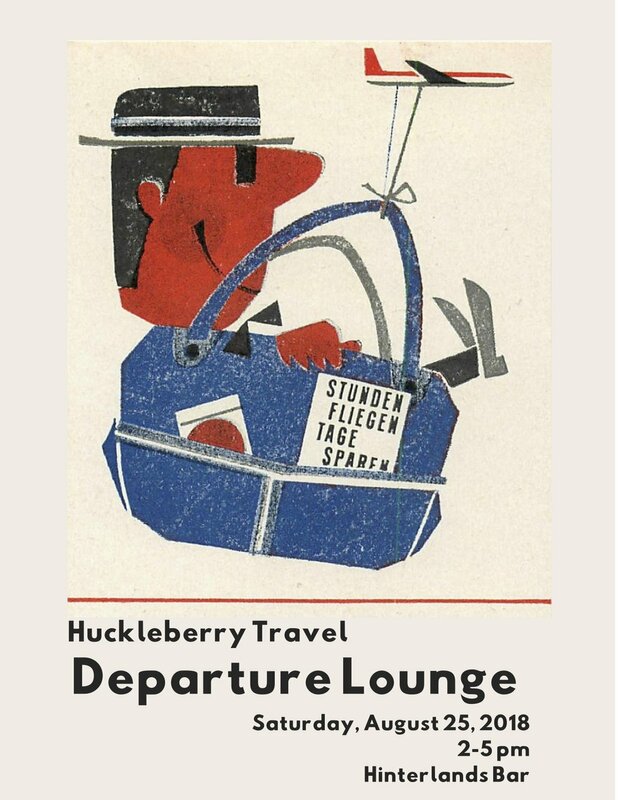 Then join us for our next Huckleberry Travel Departure Lounge! Saturday, February 24, between 2 and 5 p.m. at Hinterlands Bar! If you're not in a skybox at the actual Super Bowl, there's only one place you want to be for the Big Game--Vegas, baby! We've got special rates on rooms up and down the strip, but through our travel partners, we've secured a discount on 1- and 2-bedroom suites in the Center Strip, so you can feel like a high roller, even if you're not gambling at all! Our discounts and promotions will only last as long as the rooms do. But join us in Vegas! We'd love to see you there! This December, Huckleberry Travel will set sail on a once-in-a-lifetime trip through the Panama Canal, and YOU can join us! There's no better way to see this bucket-list destination than with the #1 cruise line sailing the region. We'll be able to experience this marvel of engineering first-hand, on the Island Princess--a purpose-built ship specially-designed to sail the Panama Canal! We'll depart Ft. Lauderdale, and stop in Aruba and Cartagena, Colombia, before traversing the Canal. Then, once we're on the Pacific Coast of Central America, we'll stop in Costa Rica, Nicaragua, and twice in Mexico, before finishing our trip in Los Angeles! Princess truly knows this region. 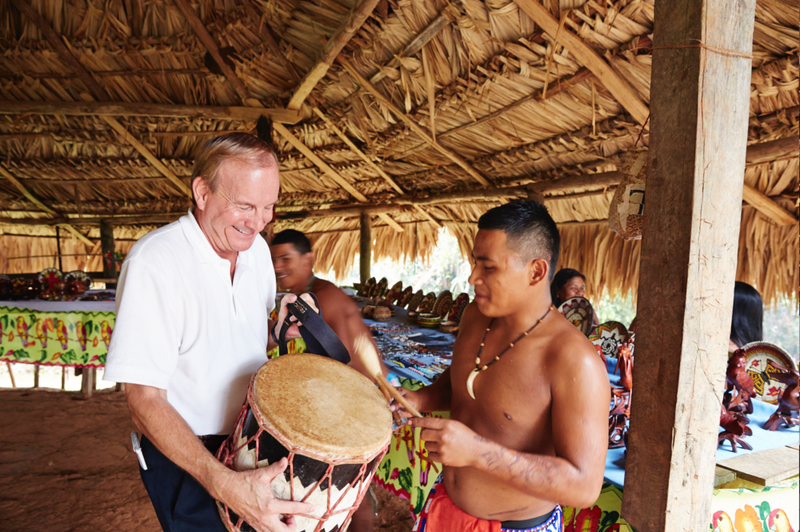 They've crafted our itinerary so that we can experience the best beaches of the Caribbean, the lush rainforests of Central America, and the many diverse cultures of the region, including the UNESCO World Heritage site of Cartagena. There are still great cabins available if you're inclined to join us. Email us before this trip sells out. We're going to have a blast! What better way to refresh yourself after a day of biking around the city than having a nice cold beer...and planning a cycling trip to France? Join Huckleberry Travel at Commonweath Bar in Park Slope, Brooklyn for our monthly travel event for August. We're planning a really exciting cycling vacation to France next summer, and we'd love to talk to you about it. We're buying a drink for anyone who cares to join our mailing list, and we're raffling off fun cycling-related door prizes. Of course, we'll be happy to talk to you about other fun cycling and multi-sport trips. Or any other kind of vacation you might be thinking about. Come hang out with us on Saturday! Don't forget to wear your helmet! There are two kinds of people in the world: (1) the kind of people who dream of traveling to Italy to explore the incredible food and/or wine of the country, and (2) people we haven't yet had the pleasure of meeting. So, let's call this event an event for everyone! Huckleberry Travel is partnering with The Gilded Grape to co-host a wine tasting in Brooklyn, featuring wines from Piedmont and Venice, among other regions. And if you join us, you'll also have an opportunity to learn more about some of our incredible food and wine tours to Italy. Join Huckleberry Travel for a fun Cuban Pig Roast--in Brooklyn! We'll be barbecuing a whole suckling pig at our favorite neighborhood bar, Hinterlands, while we highlight some of our incredible, authentic adventure travel itineraries to Cuba. All proceeds from this event will go to support Huckleberry Travel's participation in Pelotonia--an annual bike ride to raise money to end cancer. 100% of the money we raise will go directly to fund life-saving cancer research at the Ohio State University Comprehensive Cancer Center-James Cancer Hospital and Solove Research Institute. A donation of $25 or more to our ride will get you a plate of food, at the event, but if you'd like to donate in advance, you can do so by clicking here, or here. We've set the time for the event to begin at 4 p.m., based on when we think the pig is likely to be ready. Keep in mind, though, that Hinterlands opens at 1 p.m., and we'll be hanging out and roasting the pig for most of the afternoon. If you want to keep us company and have a few mojitos, come as early as you like! Some offers that appear on this website are from companies from which Huckleberry Travel may receive compensation. This compensation may impact how and where products appear on this site (including, for example, the order in which they appear). Please view our advertising and disclosure statement for more information. Editorial Note: Opinions expressed here are author's alone, not those of any advertiser or affiliated company. Any product claims, statistics, quotes or other representations should be verified with the manufacturer or service provider. All content on this site is copyrighted by Huckleberry Travel, and may not be reproduced, in whole or in part, without our express permission. Some images have been used pursuant to a Creative Commons license. If you believe that we have used an image in error, please let us know. and we'll fix it, pronto!